Get a chance to win a $ 1,500 stay! An unforgettable experience in a genuinely traditional atmosphere ! An overnight stay in a traditional log cabin ! What is Sucrerie de la Montagne? 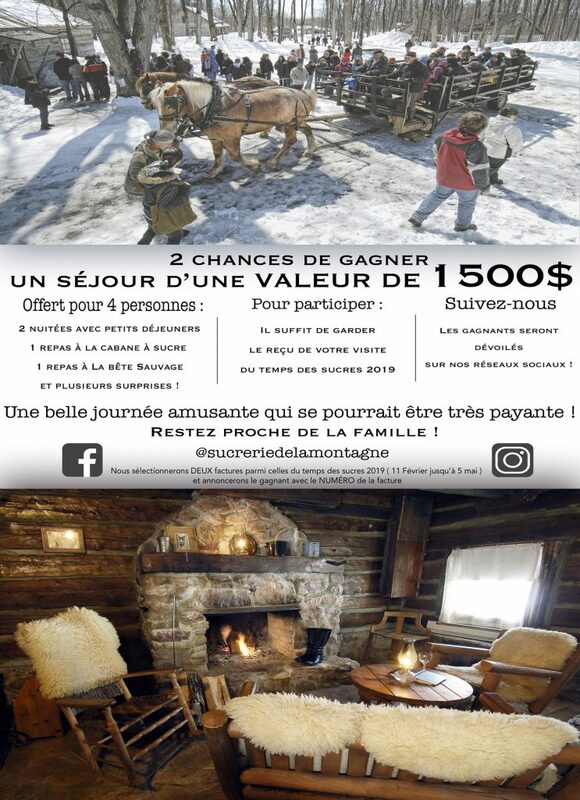 Sucrerie de la Montagne is an authentic “sugar shack” with a major difference – it is open year-round. Designated an official “Site du Patrimoine Québécois” (Québec Heritage site), the sugar shack, located in the midst of a 120-acre forest of century-old maples atop Mont Rigaud, west of Montréal, transports its visitors back in time, providing them with a momentary glimpse of life as it truly was for Québec and Canadian pioneers. Sucrerie de la Montagne founder Pierre Faucher and his son Stefan are devoted to respecting the heritage of their forebears and perpetuating Québec traditions with authenticity. 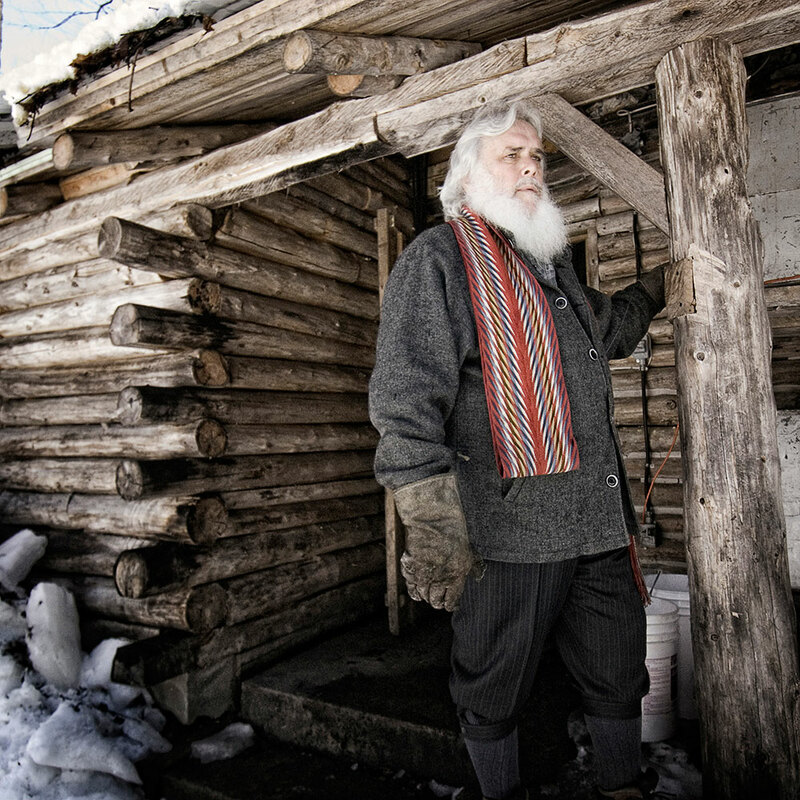 Sucrerie de la Montagne tailors its broad range of cultural and heritage activities to the profiles of its markets and its guests. Attire-moi, capturing the scent of maple vapour ! From the Sugar Shack directly to your table ! This year, Sucrerie de la Montagne is celebrating the 38th anniversary of its founding. Over the past more than three decades, thousands of visitors from around the world have come to enjoy Québec folkloric traditions in our authentic setting. Open year-round, we are known as a place where Québec heritage is respected and relived through fun, traditional activities. 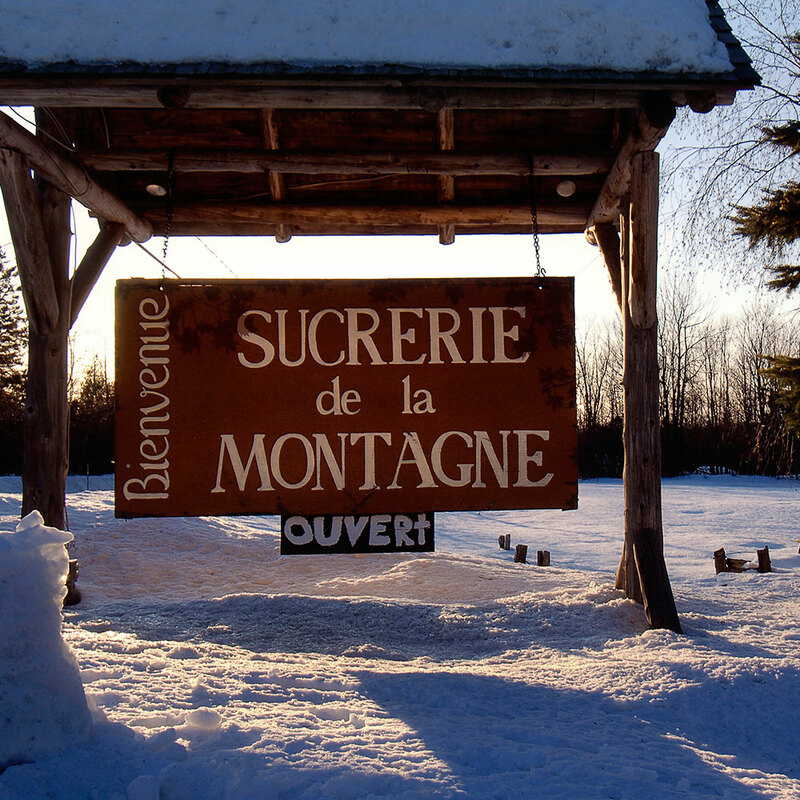 We wish you an enjoyable tour of our website and we hope this first “taste” of Sucrerie de la Montagne will entice you come to the top of Mont Rigaud to pay us a personal visit!